Halloween in New York is a big deal! Each year people go all out for Halloween. They put on their most outlandish costumes and kids can go trick or treating, door to door for sweets and treats. 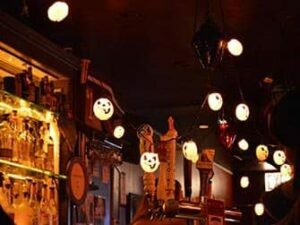 Read on for my fun tips for Halloween in New York! Originally, Halloween was a pagan festival. It was considered the day on which spirits could contact the physical world. Nowadays, people celebrate by dressing up and going out in their creepy costumes. Children go door to door, trick or treating in their local neighbourhoods to collect bags full of candy. Most households are well prepared with treats but if no sweets are available, a trick may be played! All this is done in fun, it is not the intention to pull nasty pranks. Every year Halloween falls on October the 31st. What can you expect on Halloween? 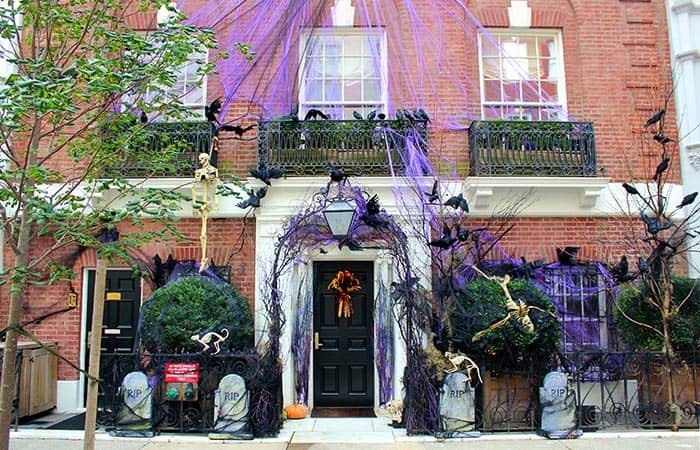 During Halloween (and the weeks prior to it) in New York, some houses and shops are decorated with Halloween memorabilia. Examples of which are: bats, spiders, witches, skeletons, blood, tombstones and, of course, ghosts and pumpkins that have been carved in to ghoulish shapes. These symbols can also be seen in people’s Halloween costumes. 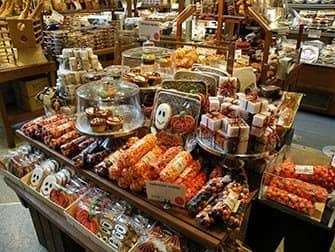 The shops in New York are open for business as usual during Halloween, as it is not a public holiday. You also won’t experience problems with irregular subway schedules. If you are in the mood for something spooky, then I suggest taking the Madame Morbid’s Trolley Tour. This 1.5-hour tour in a Victorian style decorated trolley will give you goosebumps as you explore the darkest parts of Brooklyn! The tour is available on Wednesday through Sunday. Another tour along the haunted spots of New York is the Ghost Tour of Greenwich Village. Discover the spookiest spots of New York, like the house of Edgar Allan Poe and the Hanging Tree in Washington Square Park. If you want to know more about the ghosts of Broadway, you can book the Haunted Broadway Walking Tour. You’ll visit haunted theatres and sing along to famous dark musicals like Ghost and Phantom of the Opera. 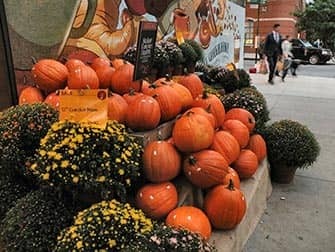 What can you do on Halloween in New York? 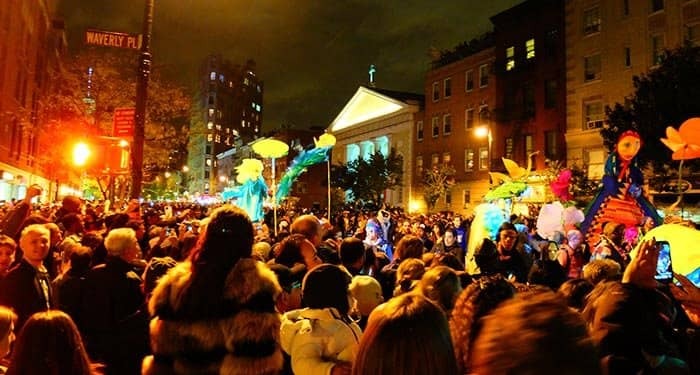 In the evening, at 19:00, the (Greenwich) Village Halloween Parade takes place in New York. Anyone (in costume) can participate in this parade, so you can too. Up to 50,000 people participate in the parade each year. There is live music, creepy decorations and people dressed up in their wildest Halloween costumes. Eric’s Tip: If you want to ensure that you walk in the parade, come dressed in your best costume and be prepared to stand and wait. It is best that you arrive early in order to be able to walk toward the beginning of the parade. Coming too late after the parade begins is likely to prevent you from being able to walk in it at all. If you want to watch the parade, then the best place to do so is West 4th Street and 6th Avenue!